GE14 | Merdeka Centre executive director Ibrahim Suffian today said that preliminary surveys showed that Pakatan Harapan was getting closer to the threshold needed to capture the state of Johor in the coming 14th general election. Ibrahim said, for now, BN would still emerge victorious but the contest was expected to be "very close" going into the final days of campaigning prior to polling day on May 9. "We had some 700 respondents as of last night. From the (preliminary) findings, we realise that Harapan has gained additional Malay votes while their Chinese votes are maintained. "The gains have reached a point where they are getting closer to the threshold. But at this point in time, (it will still see) BN prevail. "It is going to be a very close contest in the coming week," he told a seminar in Kuala Lumpur this evening. The event was on the Ikmas-Merdeka Centre seminar series on the 14th general election-themed the “The Battleground States”. Ibrahim said he hopes to release data on the centre's latest findings in a few days time as the survey was still ongoing. Last week, Ibrahim had released data on Johor which was up to April 9. 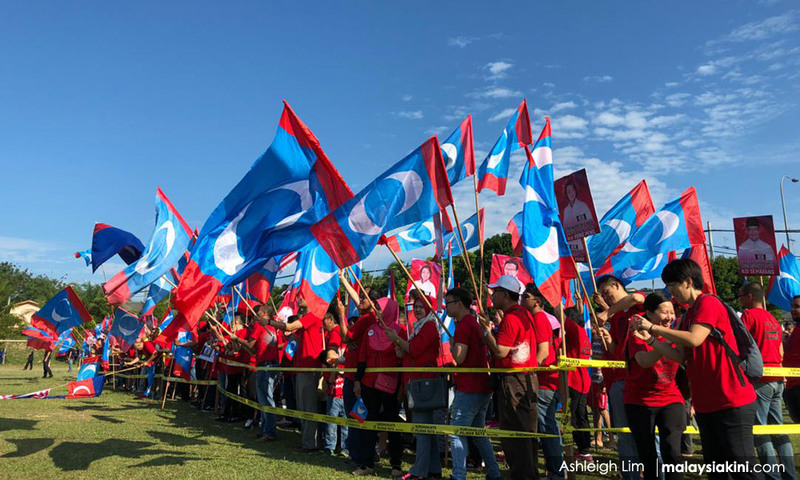 Those findings showed that Harapan's Malay support in Johor stood at 19.4 percent while Chinese and Indian support was at 77.6 percent and 32.7 percent respectively. At the time, he said in order for Harapan to have a realistic chance of winning the state, it needed an additional 10 percent Malay support and five percent Chinese support.